Enterprise. The name reminds you of a famous spaceship, right? Well, you are not far from the truth. Sitting next to this desk feels just like being in charge of the mighty spaceship. So good and so right. As promised early in this year, a new model by name Enterprise will be released at the beginning of April 2018. 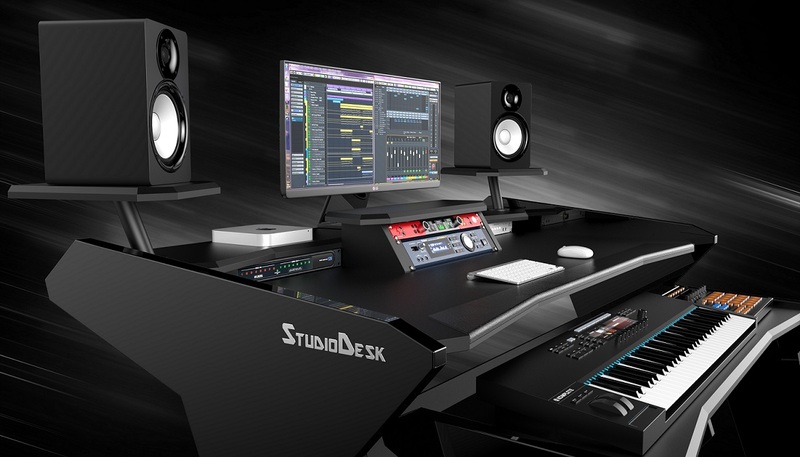 Why do we add another desk to our product line with features almost the same to Music Commander? Here is why. 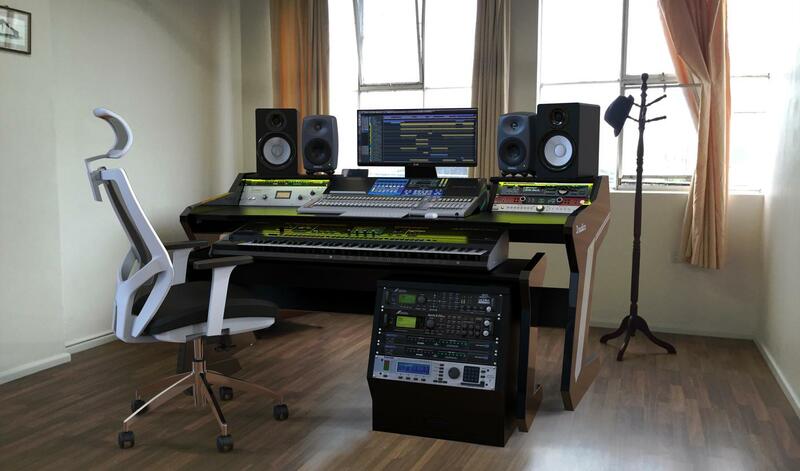 We wanted to create another workspace for music producers with a limited number of rack hardware in use. Careful observation of different setups brings us to a conclusion that more than 80% of the home producers nowadays rather invest more in VST plugins and processor power then into the hardware gear. 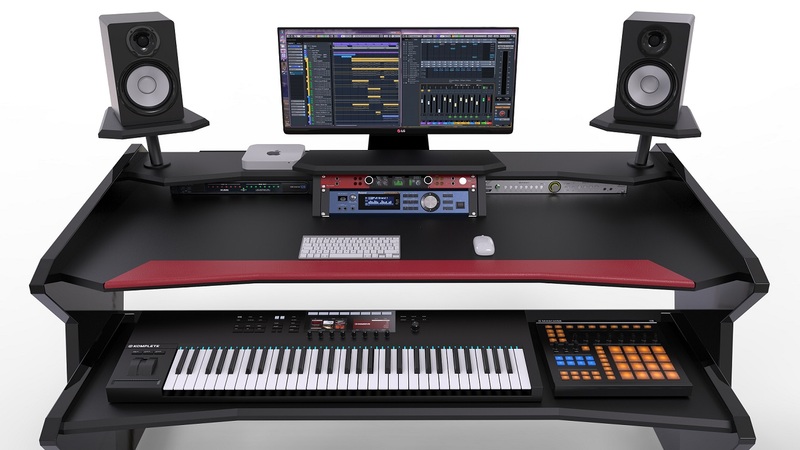 The average number of 19-inch standard components in use by home and even more acclaimed professional producers is in between two and three. 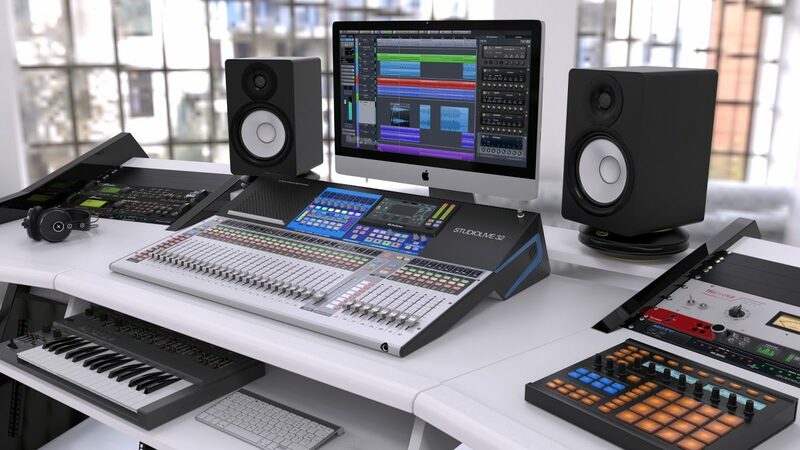 For this reason, we thought that it would be a great idea to reposition rack units to the central part of the desk and bring them closer to producer even when the keyboard controller or synth is pulled out. For those who still have some additional rack gear, additional spare 2 units can be placed under the monitor shelf. For producers who need even more rack space, we designed a new floor rack on casters and practical drawer for cables and smaller items. Floor rack cabinet can also fit under the keyboard stand. Since Enterprise is bigger in length than our Music Commander, positioning floor rack under the keyboard stand do not compromise leg space. Keyboard controllers and synthesizers nowadays become tinier and tinier. Thanks to that, with Enterprise model we could afford to lift keyboard stand higher for 3cm and provide more space for legs. 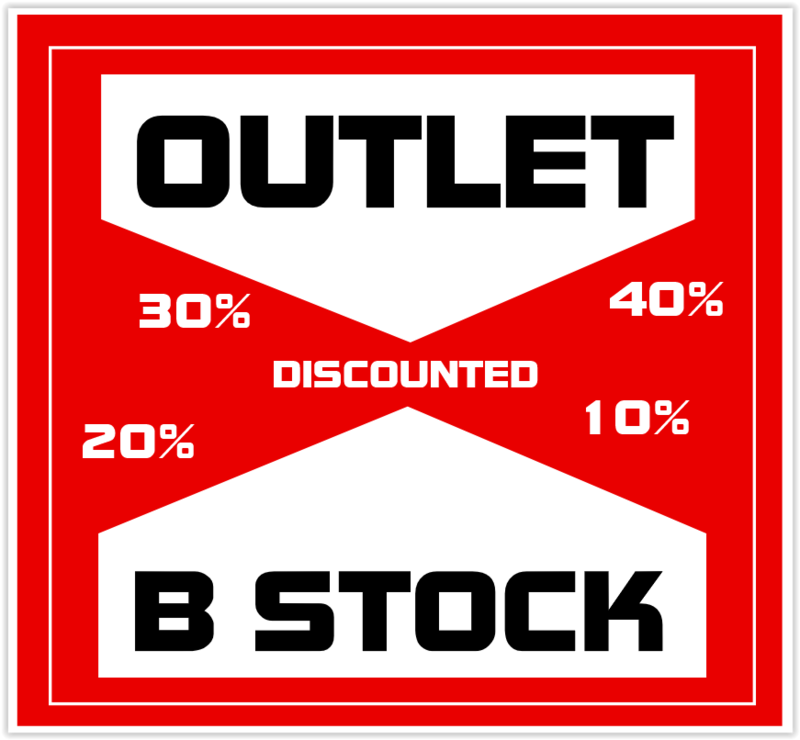 The padded armrest, which by the way can be ordered in three different colors is something most of the producers will be delighted to have. The armrest can be easily exchanged if you get bored or want to change your studio color scheme. Swivel speaker shelf, large and spacious and positioned at a perfect height. Swiveled easily allows you to find an ideal speaker position without being worried that speaker will fall down from the shelf. Owners of iMac will be very happy with the following feature. With Enterprise desk we lower spacious monitor shelf to bring large video screens to the eyesight. Cable management under the desk and number of cable inserts will help to keep the cables organized and hidden away from the eyesight. Enterprise desk following our finish standards with the legs in glossy piano finish legs desk surfaces lacquered in the matte finish. Video presentation of this desk is something we are proud of. Special thanks to Fabio Amurri, composer of the fantastic soundtrack for this piece. Enterprise has been featured on many news channels. Being very positive that Enterprise desk might take a place of our Flagship model Music Commander desk. Time will show.